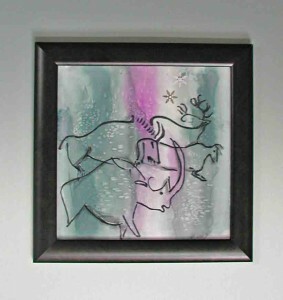 The intense heat this summer has inspired me to go inside and work on cave paintings. I kept the original drawings that I made for a cave painting quilt, ‘13,000 B.C.’ That quilt was included in the 2005 Quilts and Fine Woodworking Show at the Colorado Springs Pioneers’ Museum that year. I will have a series of small silk paintings and quilts with some of those reworked drawings for the Studio Tour in September. Similar images are also finding their way onto bowls made of maple burl. 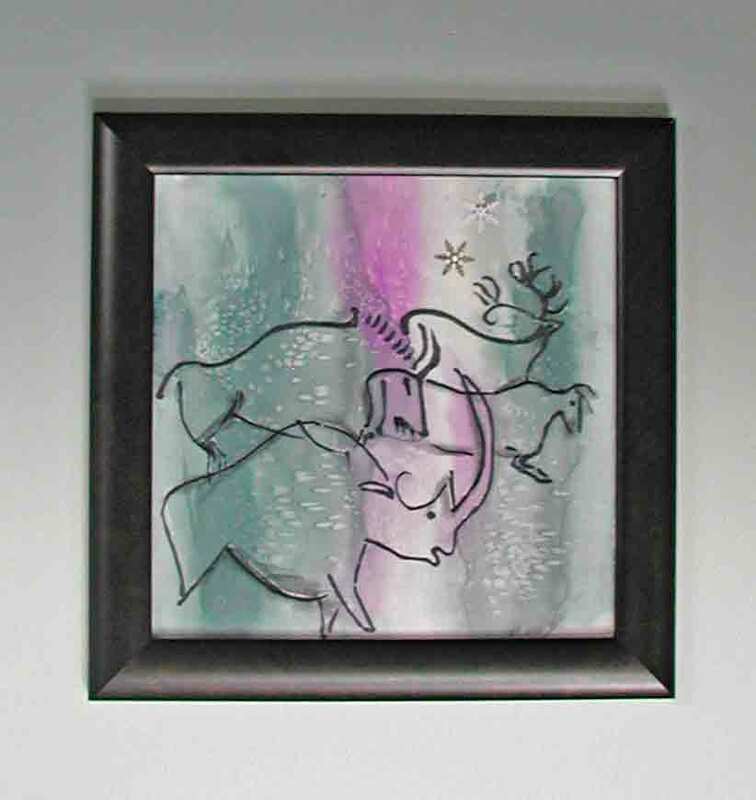 They are not as frosty as the silk paintings, but the prehistoric images are very strong in any medium. Go to the Studio Tour tab (above) for a link to the Tour artists, dates, and maps to the studios.